We’ve all been there. Standing in front of a classroom, teaching our way through grad school, or maybe instructing a class full of disrespectful teenagers. And we think: there has got to be an easier way. Well, that’s exactly what Walter White ended up doing. We’re not going to advocate pursuing the same line of work as him, but, there is a way to at least feel as powerful as Heisenberg for a day. 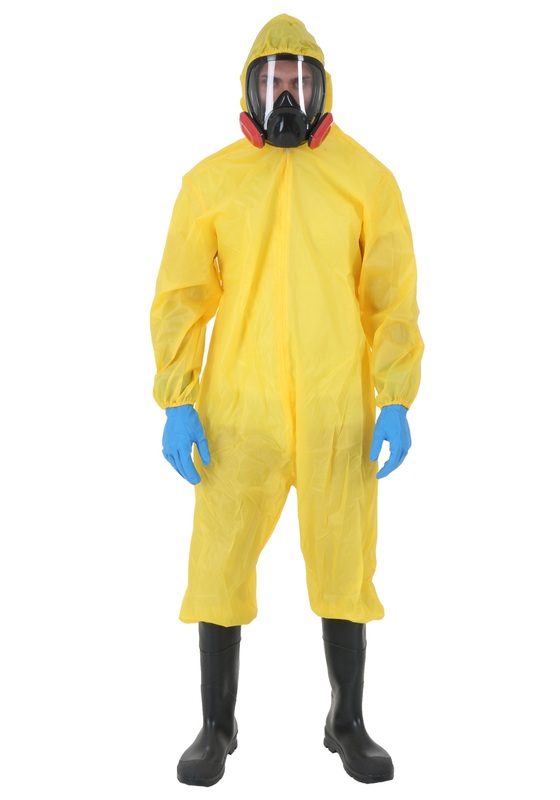 With this toxic protection suit, of course! 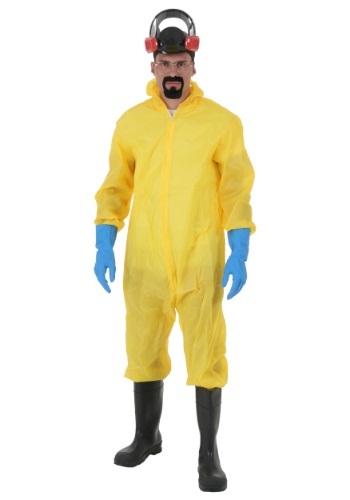 Throw on this Plus Size Breaking Bad Toxic Suit and you can be Walter White as he gets into full production mode. You might even have to steal away to your secret lab, or at least a dimly lit basement room, where you can putz around in ut for a few hours in pursuit of your true passion. When you’re in this power suit, the whole world of the American Southwest trembles at the sight of you, the One Who Knocks, or at least, the one who knocks things over when you’ve had a few too many beers. Just be sure not to disappoint Gus Fring, or your patiently providing spouse, they’re expecting some pretty high quality product when you’re finished. Unless, of course, getting them all upset is a key part of a great plan…. 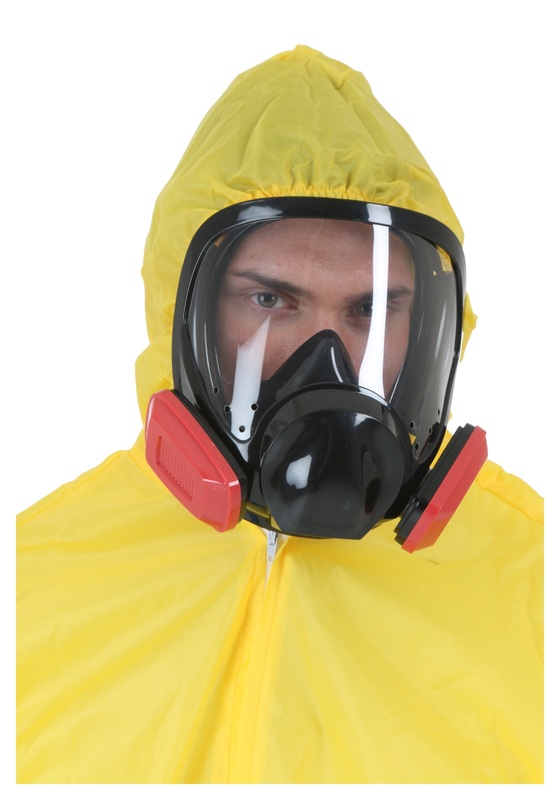 In any case, this yellow hooded jumpsuit with elastic in the wrists and ankles is a great way to break out of the day-to-day cycles of teaching and grading--or whatever it is you find your day job to be. Included with the suit are blue latex gloves, a clear mask with a fake breathing apparatus, and of course, a self-adhesive goatee to complete the look. Now get out there, or get to work in your lab, and demand the next person you see to say your name.